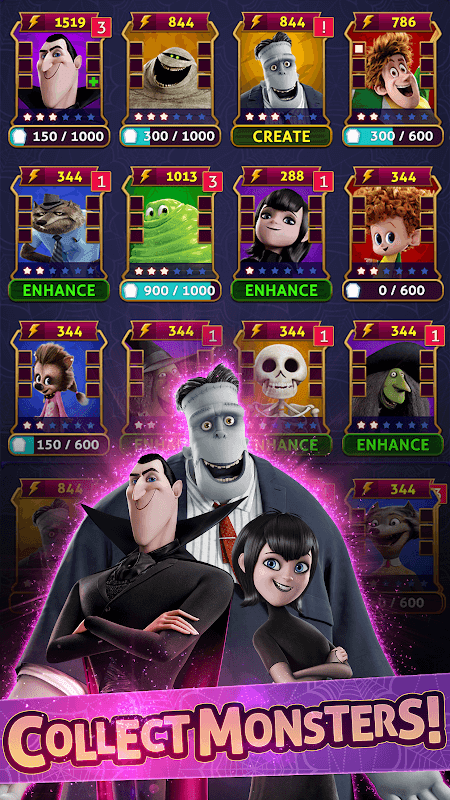 ModDroid.Com > Games > Logic > Hotel Transylvania: Monsters! As a game adaptation of the highly popular animated film, Hotel Transylvania 3: Monsters will bring players an exciting and exclusive content that resembles the story of Hotel Transylvania. Accordingly, the player will be taken to a mysterious island, and there will be many surprises, and exciting are welcoming you in front. In particular, the game retains the original image of the familiar characters to create the intimacy between the game and players as well as bring the best moments. Built on 3D graphics with realistic images to every centimetre, Hotel Transylvania 3: Monsters is definitely an addictive game for many gamers. The content of the game is almost identical to the story of the cartoon film Hotel Transylvania, where Dracula, Mavis and his friends drifted to a strange island by a mysterious storm. And from here, a new life full of difficulties and challenges that they need to overcome. However, they will encounter many cute little creatures called Impa, which will help Dracula quickly find other friends have been lost. Your task is to conquer the Impa that challenges the game to save people. They will be your companions and will always be there to guide you and help you in times of trouble. However, in order to fight off dangerous enemies, players can use strange skills and gain superpowers from these cute Impa. With the help of Impa, you will quickly complete many levels of the game and be able to explore more deeply the mysterious Lost Island, fighting with the fearsome monsters to possess their secret treasures. as well as new paths throughout the journey. 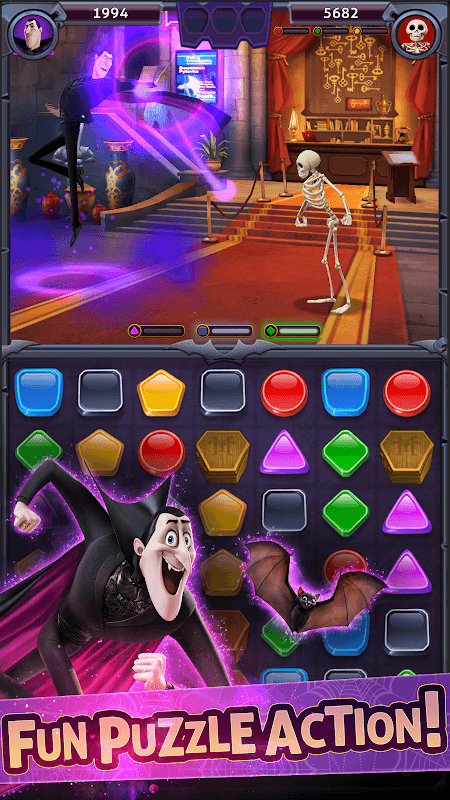 Designed on a 3D platform, Hotel Transylvania 3: Monsters offers players an eye-catching interface that makes players feel compelling and attractive. The character in the game is built quite honest and not much change compared to its film. In particular, the player also experienced a play space very fun but no less ghost. Here, you will also see some favourite characters such as Frank, Johnny, Dennis … and can not help but mention the small group of organisms Impa – the friends will always accompany you throughout the journey. The in-game system is also a plus point to the success of this game. Moreover, the capacity is very compact, so this game is extremely suitable for mid-range machines up. Although the production has not been long, Hotel Transylvania 3: Monsters MOD has achieved impressive results. The number of participants is substantial, and there is no downward trend. In particular, the game also received a lot of comments as well as positive reviews from the players and game critics. 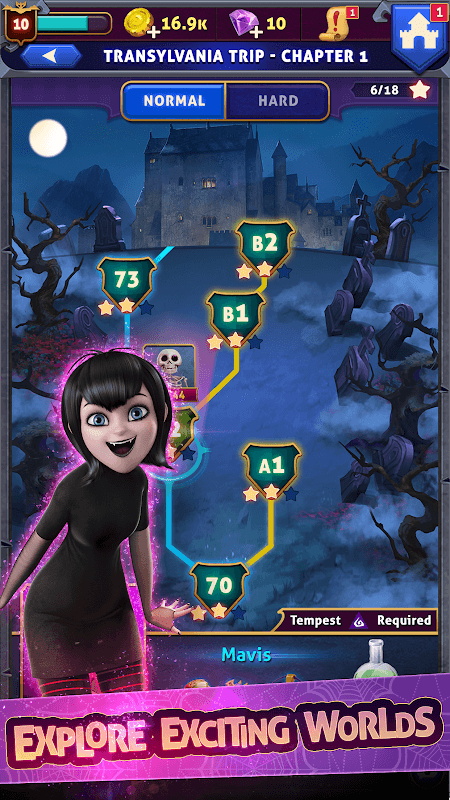 If you love to explore the mystery and want to conquer the many challenges, Hotel Transylvania 3: Monsters is an incomparable choice. Join the game right now to have the best experience offline. You can refer to the link below!